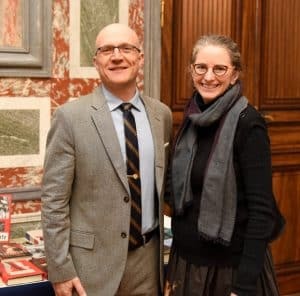 The American Library in Paris Visiting Fellowship was created in 2013 to nurture and sustain a heritage as old as the Library itself: furthering cross-cultural intellectual discourse. 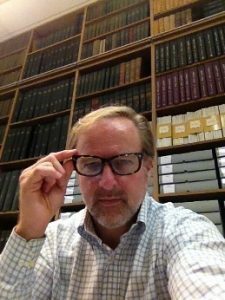 The fellowship offers writers and researchers an opportunity to pursue a creative project in Paris for a month or longer while participating actively in the life of the American Library. Applicants should be working on a book project, fiction or non-fiction, or a feature-length documentary film, that contributes to cross-cultural discourse. We are not accepting poetry projects at this time. Particular attention will be paid to an applicant’s ability to offer the Library community a variety of opportunities for exploring a topic. 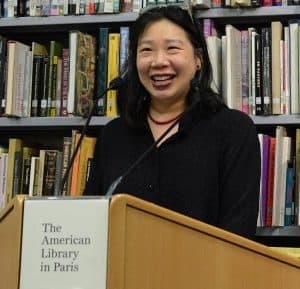 In addition to the stipend, the Library will connect the fellow to resources and people in Paris that could be helpful to his or her project. The fellowship is open to all nationalities, though the proposed project must be in English. The fellowship is made possible through the generous support of The de Groot Foundation. There are two one-month fellowship periods a year in fall and spring, with dates to be specified later. Fellowship award: a $5,000 stipend paid one month before start of fellowship period. The award, to be spent at the discretion of the Fellow, is designed to cover travel to Paris, accommodation, and expenses associated with the month in Paris. Be present in Paris during the period of the fellowship. Be present in the American Library a minimum of three half-days a week. Present one hour-long evening program at the Library on a mutually agreed upon topic. Participate in a Library reception. Meet with staff informally to explore a topic of mutual interest. Extend the Library’s reach by participating in events arranged by the Library with other organizations in Paris. Provide the Library and the funding foundation with a written report of the fellowship experience. Appropriately acknowledge the Library and the Visiting Fellowship in publications and print media related to the fellowship project. Participate in the Library’s social media communication, fundraising campaigns, and other public events. Cover letter including a 100-word abstract of project envisioned for the fellowship. Although no letters of reference are required, please supply the name and contact information of two professional references willing to discuss your project with us. We will only consult references for finalists. Application processing fee: €30 ($35 USD). No application is complete without payment, though there is no penalty if received after the application deadline. Ian Leslie (March-April 2019) is a journalist writing about the science of human behaviour, drawing on a wide range of interdisciplinary expertise. 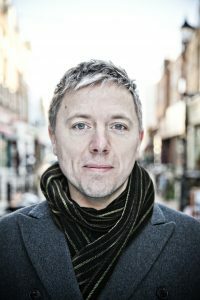 He is the author of Born Liars: Why We Can’t Live Without Deceit, and Curious: The Desire to Know and Why Your Future Depends On It. Ian is currently researching and writing a book on the topic of “productive disagreement”. We live in a world that features more argument, and more hostile conversations, than ever. Much of it takes place in an environment that is relatively new and the rules of engagement aren’t clear. What can we learn from scholars who have studied disagreement and from professionals who regularly have high-pressure, conflict-ridden conversations? Molly Antopol (June 2019) is the author The UnAmericans (W.W. Norton, 2014), a story collection that won the New York Public Library’s Young Lions Fiction Award and a National Book Foundation 5 Under 35 Award, among other prizes. During her time in Paris, Antopol will work on her novel in progress, The After Party, which will also be published by Norton. 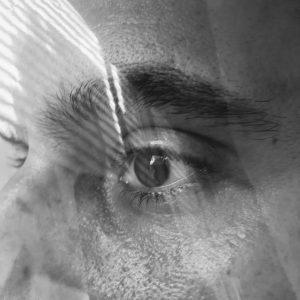 This new novel explores issues of surveillance and privacy, making it deeply resonant in the current landscape. 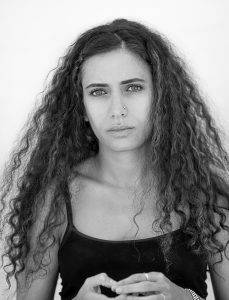 Hala Alyan (fall 2018) is the author of several poetry books and the novel Salt Houses. In Paris, she will be working on her novel in progress, The Arsonists’ City, about a family that unravels as its members come together to sell their ancestral home in Beirut. 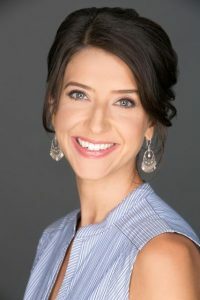 Alyan lives in New York, and is also a licensed psychologist. 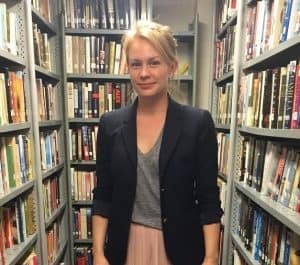 Vanessa Manko (spring 2018) is the author of The Invention of Exile. She earned her MFA from Hunter College where she was the recipient of a Hertog Fellowship. Her work has appeared in Granta, the New York Times Magazine, the Barnes & Noble Review, and on NPR’s Selected Shorts. She has taught writing at Wesleyan University, New York University, and SUNY Purchase. She is at work on a novel called A Question of Illumination, inspired by the life of Loïe Fuller, the late 19th-century modern dancer in Paris. James Verini (fall 2017) is a magazine journalist who has reported extensively from Africa, the Middle East and elsewhere. His reporting on the fall of ISIS in Iraq and the battle for Mosul in the New York Times Magazine and National Geographic, where he is a Contributing Writer, will be adapted into a book for WW Norton. He also writes for the New Yorker, the Atavist Magazine, and others. 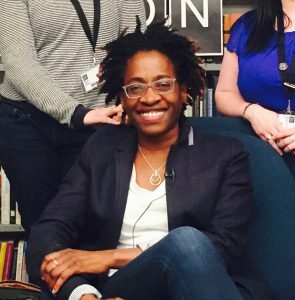 Jacqueline Woodson (spring 2017) is an award-winning writer of books for children and young adults. She is best-known for Miracle’s Boys, which won the Coretta Scott King Award in 2001, and her Newbery Honor-winning titles Brown Girl Dreaming, After Tupac and D Foster, Feathers, and Show Way. For her lifetime contribution as a children’s writer, Woodson won the Margaret Edwards Award in 2005. She won the National Book Award in 2014 in the category of Young People’s Literature for Brown Girl Dreaming, and was nominated in Fiction for Another Brooklyn. Anna Leahy and Doug Dechow (fall 2016) are co-authors of Generation Space: A Love Story, which they previewed during their joint fellowship. At Chapman University Leahy teaches in the MFA and BFA programs, and Doug is the Sciences, Digital Humanities, and English Librarian. They are the creators of the Lofty Ambitions blog, which covers science, aviation, and spaceflight. During their fellowship Anna led a poetry workshop, and Doug presented correspondence from The Center for American War Letters. Megan Mayhew Bergman (spring 2016) is the Associate Director of the MFA program at Bennington College. During her fellowship she gave a talk about supporting women in the arts and conducted a creative writing workshop. She is the author of two collections of short stories–Almost Famous Women and Birds of a Lesser Paradise. She also authored an article for the New Yorker about Marlene Dietrich’s book collection in the American Library’s special collections. Lan Samantha Chang (fall 2015) is a poet and author of a collection of short fiction, Hunger, and two novels, Inheritance and All Is Forgotten, Nothing Is Lost. She directs the leading American MFA program in writing, the Iowa Writers’ Workshop, at the University of Iowa. In addition to an evening program about F. Scott Fitzgerald’s revision process for The Great Gatsby, Chang led a four-part novel-writing workshop. Susan Hiner (spring 2015) is a professor of French and francophone studies at Vassar. 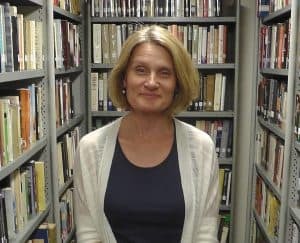 During her fellowship Hiner researched Behind the Seams: Women, Fashion, and Work in Nineteenth-Century France, which was the topic of her evening program. She is also the author of Accessories to Modernity: Fashion and the Feminine in Nineteenth-Century France. 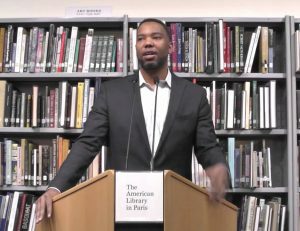 Ta-Nehisi Coates (winter 2015) is a national correspondent at the Atlantic and author of The Beautiful Struggle: A Father, Two Sons, and an Unlikely Road to Manhood; Between the World and Me; and We Were Eight Years in Power: An American Tragedy. Though Coates’ fellowship was for a novel still in progress about an African American who moves from Chicago to Paris, he was still at work on the final draft of Between the World and Me during his time at the Library, which also coincided with the Charlie Hebdo attacks. The book has been heralded by Toni Morrison and President Obama and won the National Book Award. He gave his first public reading of the text at the Library. On another night, he spoke about his landmark article “The Case for Reparations” and conducted an event for teens about superheroes and comic books and their place in pop culture. Alex Danchev (1955-2016) (fall 2014) was a professor of international relations at University of St Andrews. 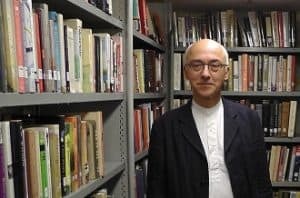 He was also the author of Cezanne: A Life (shortlisted for the 2013 Library Book award), a collection of essays On Art and War and Terror, as well as a work on René Magritte, the subject of his research during his fellowship. At the Library he spoke about Magritte and participated in a panel discussion about the state of global terrorism. Anthony Flint (fall 2013) is a fellow and director of public affairs at the Lincoln Institute of Land Policy. He is the author of Modern Man: The Life of Le Corbusier, Architect of Tomorrow;Wrestling with Moses: How Jane Jacobs Took on New York’s Master Builder and Transformed the American City; and This Land: The Battle over Sprawl and the Future of America. During his fellowship at the Library, he researched Le Corbusier, investigated structures designed by the renowned architect, and met people who knew him personally.